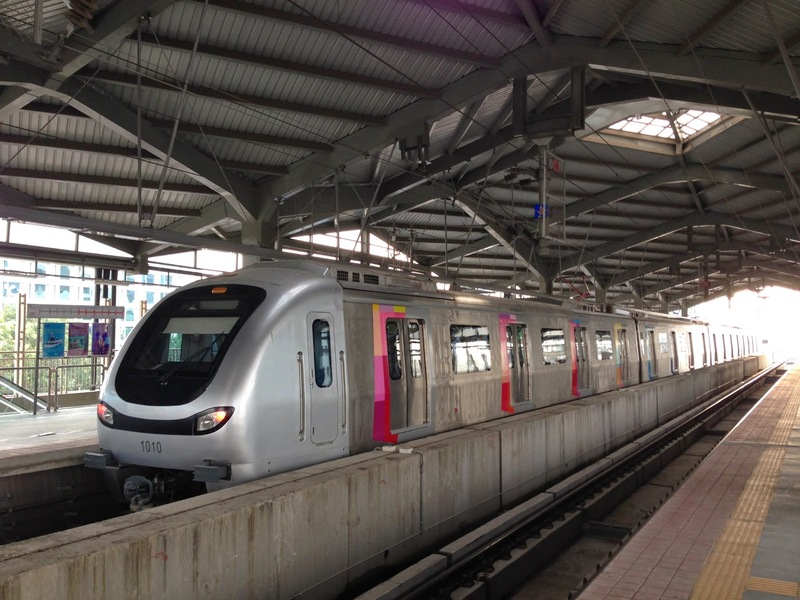 My first blog post on the Mumbai Metro dates back to 2006 when I was blogged more regularly. Back then, I wrote a series of blog posts on the Mumbai Metro right till the second bhoomipujan in 2008. So today, when the Mumbai Metro has finally commenced operations, I thought its appropriate to bring that series to its logical conclusion. After so many years of political wrangling, delays and cost overruns, the Mumbai Metro was finally launched for the public yesterday. This is the first leg that covers a short distance of 11km in 20minutes. The statistics are available on their site. I rode on the Metro yesterday and it was thoroughly impressive. Having commuted on the Delhi Metro just a month ago, I saw the similarities. From the ticket tokens to the near-gapless train platforms to the air conditioned Metro wagons. This experience was long overdue in Mumbai where we're only used to super dense crush load on local trains. By cutting commute time and aiding car owners to switch to mass transit, the Metro does offer a sustainable solution for many passengers. @b50 Lot of people travel from Central to western suburbs na. Would be great for people from ghatkoper, vikhroli, Chembur etc. @b50 its for Andheri Seepz, Versova Andheri, Ghatkopar Seepz. For now, it looks like the Metro solves the commuting woes of people staying in and around Andheri and Ghatkopar. I'm guessing that they would switch from their local trains to go to places near the Metro stations. For example: a Thane commuter going to DN Nagar (Andheri) would currently have to switch trains at Dadar and then travel further from Andheri Station to DN Nagar. Now he would switch to the Metro at Ghatkopar and directly go to DN Nagar. Surely, this is a big relief. Mumbai infrastructure was traditionally built around North-South connectivity. But in the past year, East-West connectivity has been gaining more importance with the launch of the Santacruz Chembur Link Road. The Jogeshwari Vikhroli Link Road already sees a lot of traffic. Eastern connectivity has also been beefed up with the Monorail and the Eastern Freeway. These are still early days for the Metro and this is just the first route. For full benefits to kick in, the other two longer routes around Charkop, Dahisar, BKC, etc have to be constructed. But considering how much time these projects take in Mumbai, all those routes are really far away from seeing the light of day. This reminds me of the Bandra Worli Sealink which appears inadequate on its own given that the true impact would be felt if the sealink was extended from Marine Drive to further north. But that, as we know, will also take its own time. And so, in true Mumbai style, let's celebrate whatever little we get because we don't get much of this often.